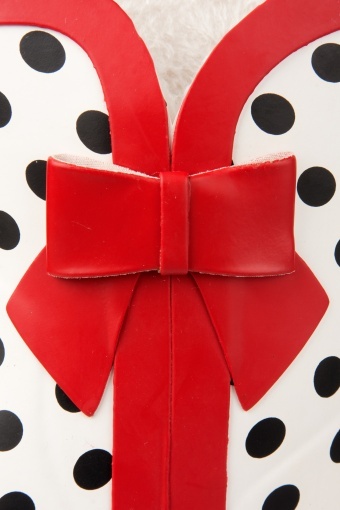 New collection! 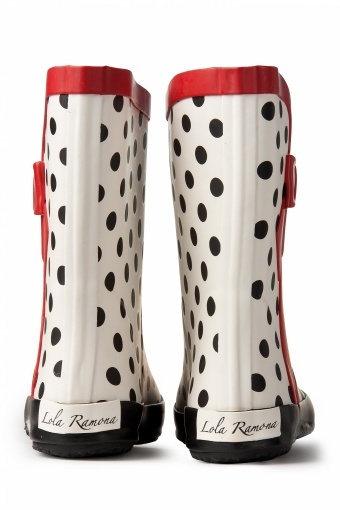 Lola Ramona - Shoes With An Attitude! 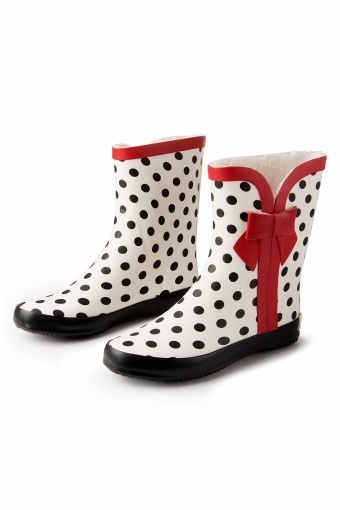 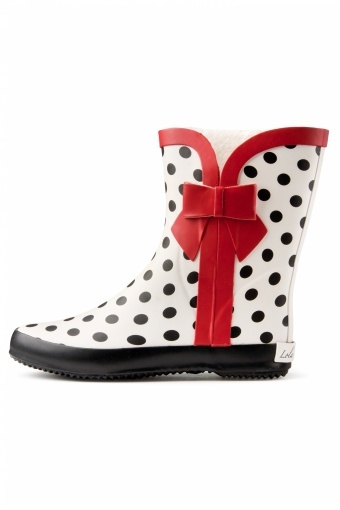 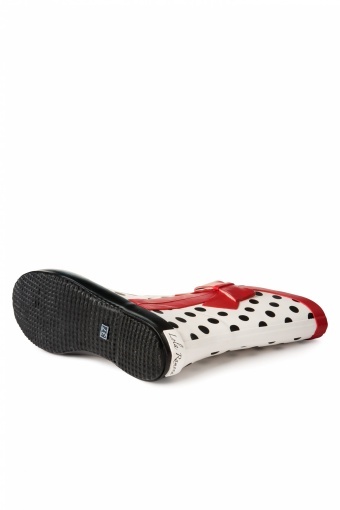 The Wellie Polka Dot Red Bow Rubber boots are the cutest rubber boots we ever saw! 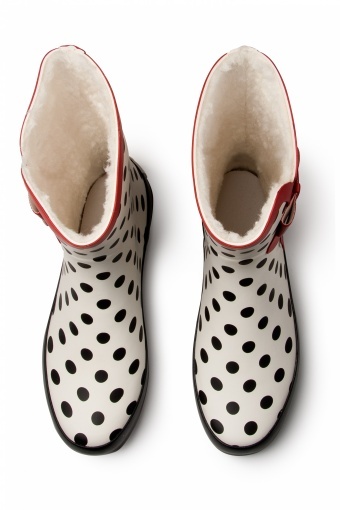 Outside off white rubber, inside lining a comfy wooly fabric. 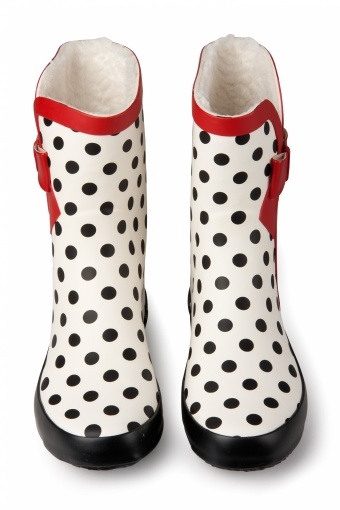 Wear them ofcourse in the rain, on your favourite festival or concert of whenever you like: with these boots you can express your retro loving heart at its best!